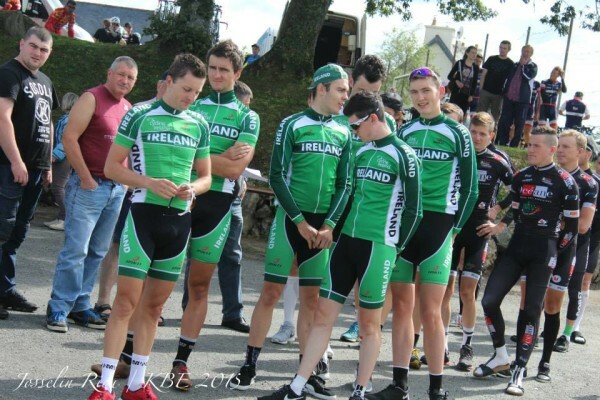 Making his international debut, Mark Dowling was best of the Irish on the opening stage of the UCI 2.2 ranked Kreiz Breizh Elite race in France yesterday, Saturday. The DID Dunboyne man was competitive against the international field, picking up climbers’ points and ending the stage third in that classification. However, while all six riders in the national team performed well, none was in the small breakaway sprinting for victory. In the four-man charge to the line that would settle stage honours and the destination of the first leader’s jersey of the race, Stéphane Poulhiès (Occitane CF) was quickest after 184.5km if racing and almost 4½ hours. 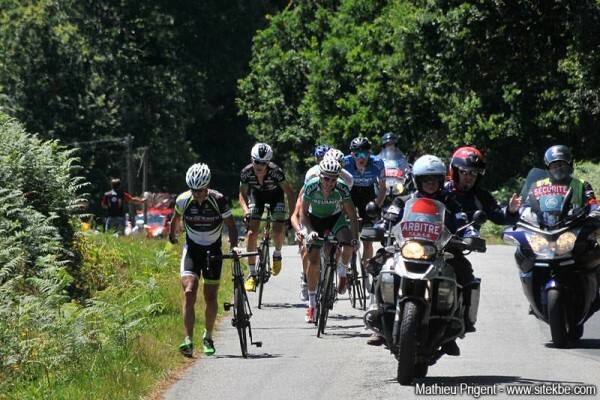 That group gained 50 seconds on the next man home, Remy Rochas (Chambéry Cyclisme Formation). A further 24 seconds would elapse before the peloton sprinted in for the minor placings, with most of the Irish riders in the race in that group including Dowling in 18th place and Mark Downey, also riding for the national team, just two places back in 20th. Matt Teggart of Team Ireland was 45th, Conor McConvey of Team 3M in 59th and Sean McKenna and Marc Potts of the national team in 62nd and 79th respectively. Daniel Stewart was also in the bunch, coming home at the back of the pack in 90th place. Irish rider Dominic Jelfs of Madison Genesis lost time and came home in a group to place 120th, with Sean Hahessy of the national team just behind in 129th. Sunday’s action sees a split stage for the riders; an 82km road stage with two big climbs in the morning. That will be followed later in the day by a 110-kilometre journey starting and finishing in Carhax with two more climbs. Monday’s final stage on Monday is the hardest and takes the riders 163 kilometres from Plouguernevel to Rostrenen with climbing throughout.